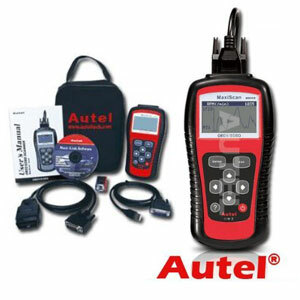 The MS509 car fault code reader allows easy access to a vehicle computer via its diagnostic port. CAN enabled, it is designed for use on all 1996 and later European, Asian and US vehicles with OBD2 compliance. This sophisticated but simple to use, hand held tool displays DTC definitions on a large, backlit LCD screen. CAN enabled, it reads and clears fault codes and switches off warning lights via the vehicle OBD port.